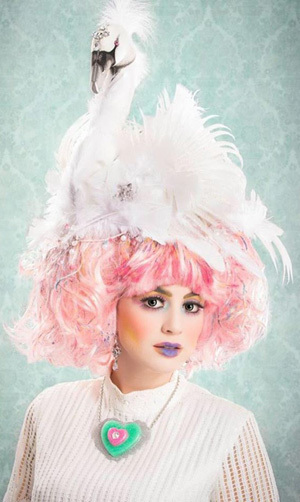 WomenArts is looking for great photos of people showing their SWAN spirit. If you have one or take one at your SWAN event next month, you could win up to $500 in our SWAN Photo Contest! Be sure to check out the contest guidelines below to make sure your photo will qualify. If you want to enter, all you have to do is upload your photos to Facebook, Flickr or some other online service, and then use our handy SWAN Photo Submission Form to send us the links. You can enter up to 4 photos. The deadline is midnight on April 30, 2018 to give you plenty of time to send in the photos from your SWAN event. You can submit pictures of people wearing or carrying SWAN items like Ebony Amber’s fantastic SWAN hat or Isabelle Spike’s amazing SWAN sculpture pictured on this page. You can also submit pictures of people participating in SWAN events as artists or as audience members. For instance, you could submit action shots of the performers or other artists at your event or pictures of people doing the SWAN Salute or standing next to signs indicating they are at a SWAN event. Photos Must Be Suitable for All Ages: We want photos that we can publish on the WomenArts website and social media. The photos must be suitable for a website serving girls as well as women. Photos Must Be Visually Compelling: Please make sure your photo is in focus and well-lit. Try to avoid unintentional shadows or distracting things in the background. You are more likely to win if the composition is especially interesting. Rights: The photographer will retain the copyrights to the photos, but by submitting a picture to this contest, you are granting WomenArts a non-exclusive right to publish it on our website, social media, printed materials, or in any other format in perpetuity. Prizes: There will be one first prize of $500, and one second prize of $250. We may award additional honorable mention prizes. Deadline: The deadline is midnight on April 30, 2018. You can enter a maximum of 4 photos. The winners will be announced in May 2018. Happy Support Women Artists Now Day 2019! 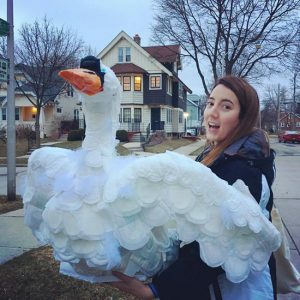 Get Ready for SWAN Day 2019! Statera Women Rise to WomenArts’ Challenge!